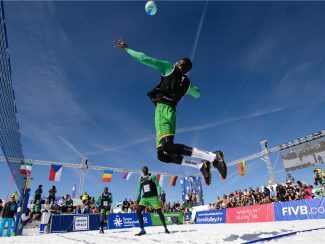 Lausanne, Switzerland, April 12, 2019 – Cameroon defeat Italy, Argentina win two bronze medals, Brazil in fifth place… Most people would not believe the word is about a winter sport, unless they followed the first two events of the inaugural 2019 FIVB Snow Volleyball Word Tour, co-organized with the CEV. 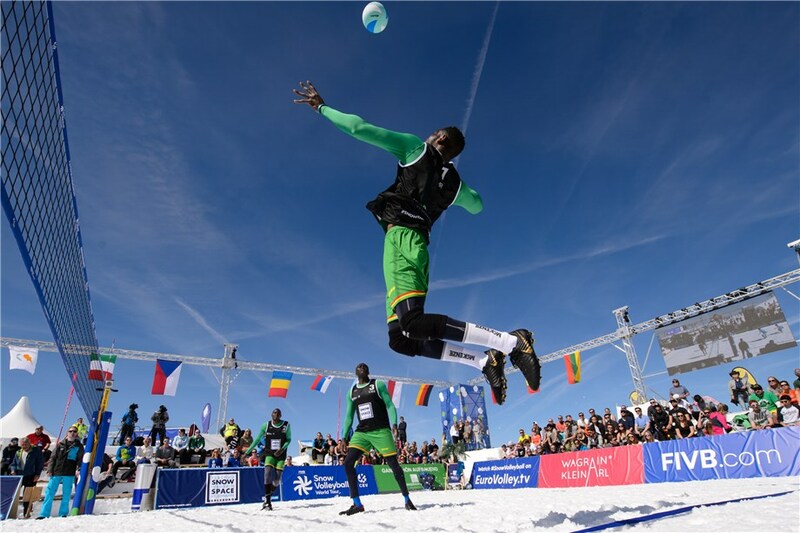 With the two truly historic tournaments, which took place in Austria and Italy in late March and early April, snow volleyball evolved from a mostly European discipline to a global sport, delivering a fresh change to the winter sports scene. The fact that teams from countries with warm climates, not exactly known for their skiers, skaters or ice hockey players, have the opportunity to compete as equals with the typical winter sports countries is quite unique. While the skills that players practicing volleyball or beach volleyball bring in to the snow come in handy, they all agree that snow volleyball stands on its own right as a different and completely separate sport. As of this season, snow volleyball is played under a new format, with three players on each side of the court and the possibility for substitutions. This gave it even more of a country-vs-country team sport feel, which is quite rare on the winter sports scene as well. Not only that, snow volleyball is the first winter ball sport, with all the excitement that comes with it. The FIVB tournaments in Wagrain-Kleinarl and Plan de Corones / Kronplatz were held on top of snowy mountains, high above sea level, at venues surrounded by breath-taking views. The hundreds of skiers and snowboarders on the Alpine slopes, who took time to watch the intriguing snow volleyball battles, enjoyed the emotion and left with the feeling that at these winter resorts is where the new sport belongs. To the delight and, to some extent, the surprise of the spectators, the participants offered spectacular action of the highest level. 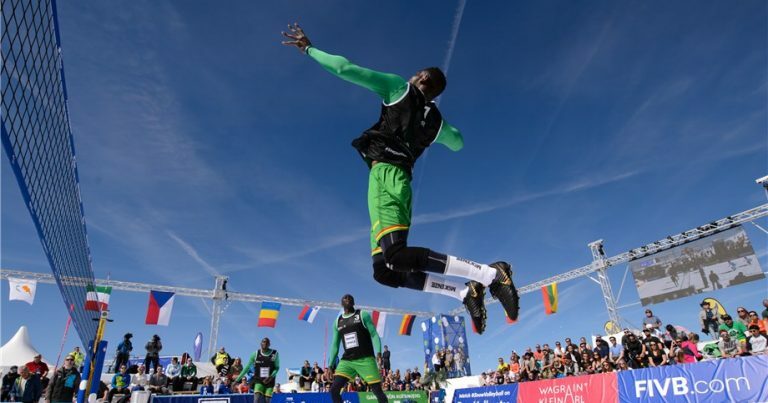 Austria, the birthplace of professional snow volleyball and host of the first stop on the FIVB Snow Volleyball World Tour, took advantage of the home court to strike both the gold and the silver medals in the men’s competition at Wagrain-Kleinarl. Russia, the dominant force on the CEV European Snow Volleyball Tour, settled for bronze. The men’s gold at Plan de Corones / Kronplatz went to the spectacular team of USA. Russia upgraded to silver and Poland celebrated with bronze. The women’s teams were more consistent, with Russia, USA and Argentina lining up on the podium in that order at both events. The two unexpected, but well-deserved bronze medals for the South American nation, were probably the major sensation of the Tour. This, and the fact that the Snow Volleyball World Tour is heading to Argentina next, echoed strongly in the country’s media. 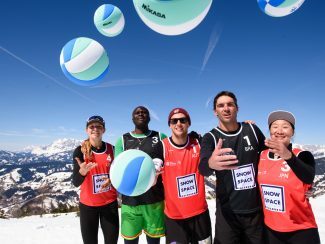 While the tournament in Austria was the first appearance on the snow for many of the participating teams, the learning curve was quite steep as they were figuring the new sport out and the level of snow volleyball at the event in Italy was dramatically higher. 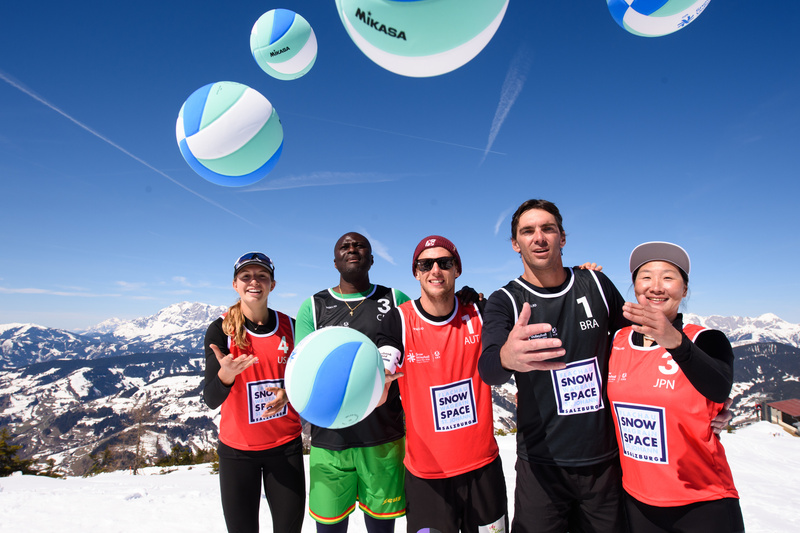 Most importantly, with these initial two stops of the World Tour in Europe, where teams from 21 countries on all five continents competed and enjoyed it, a giant step towards the globalization of snow volleyball was made. The next step will be made from August 1 through 4, when the city of Bariloche in the Argentinean Andes hosts the third stop, and snow volleyball itself will go outside Europe for its first official international tournament on another continent.